June gave me a bit of a whirlwind travel schedule, between a road trip to Block Island, a bus trip down to Washington, DC, for TNNA, and flight to Colorado to celebrate a milestone family birthday. If those trips had anything in common, it was that my knitting was a constant companion. Yes, you can bring your needles in your carry-on luggage. At least when flying within, or out of, the U.S. 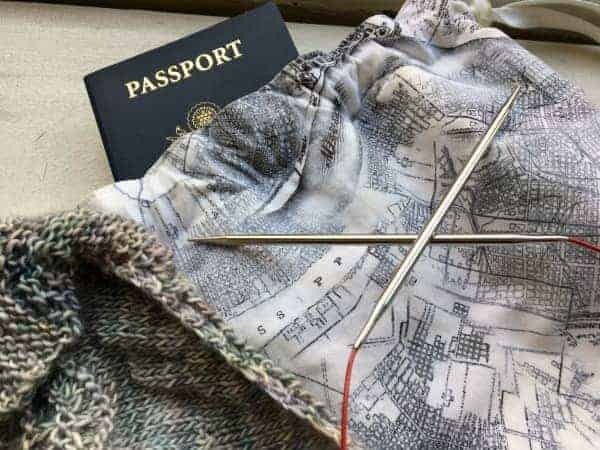 I have even heard of fellow knitters bringing super pointy Signature Needles along on domestic flights. However, different countries have different rules. When I flew home from Australia in 2013, the pair of small, blunt-tipped children’s scissors I bought just to take on the plane, with a blade shorter than 4 inches, and which got through security in New York, were confiscated. When it comes to travel knitting, garter and stockinette are my friends. I’m not sure about you, but there’s nothing like getting frustrated with a pattern when your GPS is acting up in the car, or you’re sitting in a cramped airplane seat next to someone who needs to use the bathroom every 20 minutes and the thimble-sized bag of snack mix just wasn’t enough of a snack and OH MY GOD I AM NOT PAYING $10 FOR CHEESE AND CRACKERS. I did make an exception to that rule during the trip to Colorado when I started the lace edging of my Flying Fish shawl, but I also made sure to pack my chevron striped scarf, just in case. 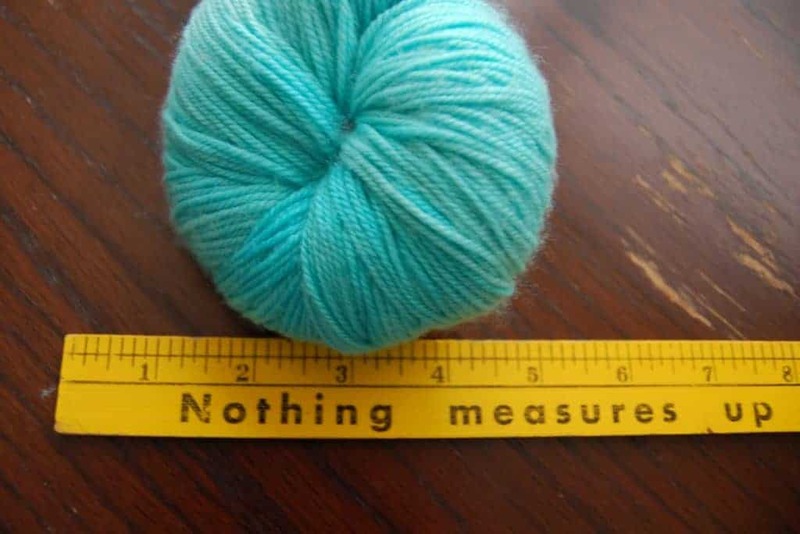 You also don’t want a project with a lot of different color changes (think mini skeins) because you will not be happy if one of those roll away, especially on a plane. Take pictures of your patterns. I’ve learned the hard way that as much as you think you’ve memorized your pattern, there will be that moment when you need to refer to the PDF and… there’s no cell service or Wi-Fi. When I start a pattern, I make it a habit of taking a screenshot of it on my iPhone (by hitting the home and sleep/power button at the same time) so I can easily refer to it even if I don’t have access to the Internet. Printing the pattern works, too, but getting a screenshot is the best option if you want to go paperless. I actually sort of look forward to plane rides and long car trips because of the time available to me to knit. Hopefully this will help you prepare for one of your upcoming trips!